If you are looking for new vistas to expand your business and are on the lookout for better business propositions, then China is your answer. 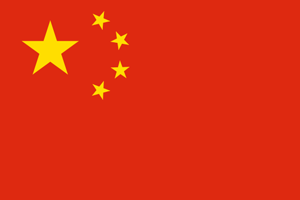 China is the world’s second largest economy by nominal GDP and has a lot to offer in the business arena. Let TCE take care of your money matters, while you plan your business trip to China. The Renminbi is the official currency of the People’s Republic of China. It literally means people’s currency. The Yuan is the basic unit of the renminbi, but it also refers to the Chinese currency, in general. One Yuan is divided into 10 Jiao and each Jiao is subdivided into 10 Fen. The code is CNY and the symbol is ¥. TCE offers its customers specialized service, catering to each customer’s individual needs, ensuring customer satisfaction. TCE offers the best exchange rates, unavailable in any other bank or exchange bureau in Canada. There are no hidden charges and customers do not over pay. A convenient and reliable online ordering system is offered by TCE to its customers, ensuring time- efficiency. For customers who are short on time, TCE offers the home delivery option which is through Canada post and is not only quick but safe, as well.